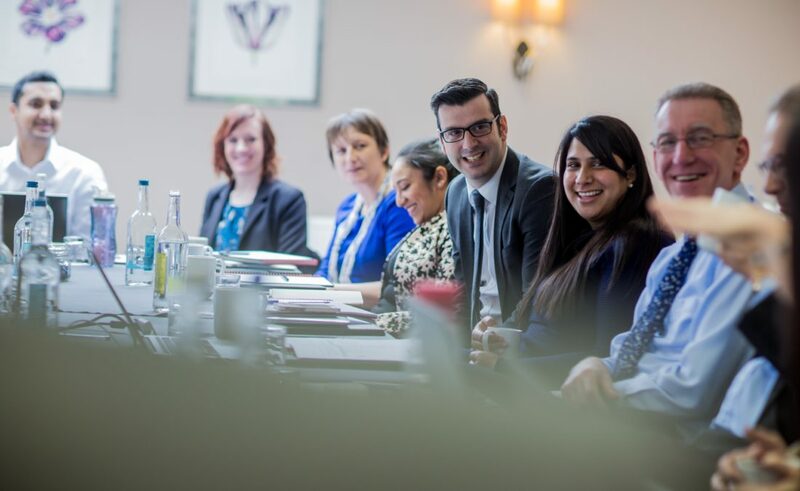 Entec Si is a Birmingham-based project management and organisational change business. Having achieved significant growth in recent years, they wanted a new website that reflected this expansion. One of the key drivers for the site was to attract new clients, potential employees and associates to Entec Si. We began with a workshop to understand Entec Si’s ambitions for the site. 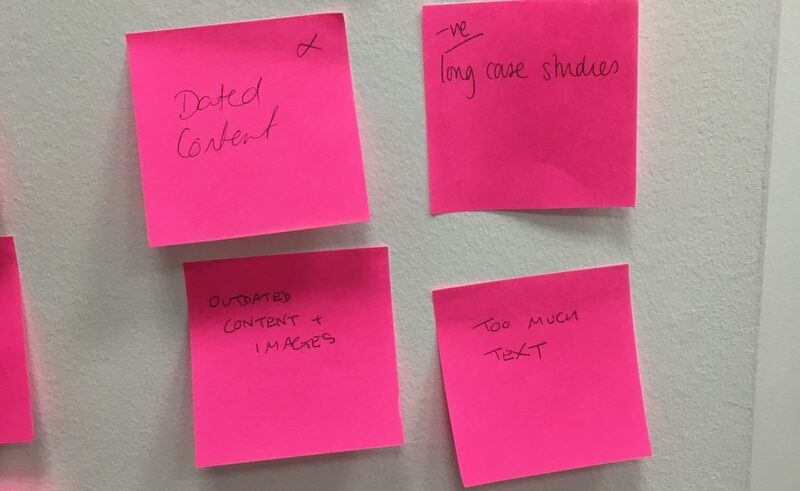 During this focused pens and Post-Its session, we established a strong set of requirements. Acting on behalf of Entec Si, we managed the tender process and helped them to appoint 18a Productions. Our primary role was to ensure each phase of the site’s development went smoothly. This included wireframes and design sign-off, build and go-live. Running parallel to this, we worked closely with Entec Si to develop content for their new site. We established a tone of voice and authored case studies, news articles and USP content. 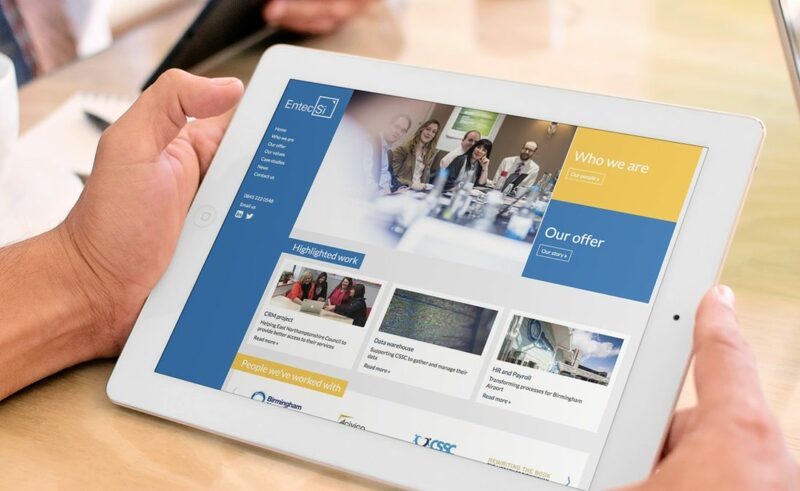 Entec Si were keen for the site to be vibrant and engaging. Key to this was the creation of a rich, visual experience that celebrated their values and personality. Subsequently we ran a tender process to source a photographer who could bring a strong, coherent visual aesthetic to the site. Musta Media were engaged to do this, and conducted a number of shoots across Entec Si’s client locations. It was exciting for us to take the visual aspect a step further with the development of video content. We worked with Vyka Studios to build the concept, plan the shoot and provide reviews during the editorial phase. This resulted in clips that were prepared for both website and social media use. Entec Si now has a bright, clean and exciting website, which matches their vision. Alongside their company branding, the site features a warm accent colour, which brings freshness to the experience. Simple design and clear navigation enable the content to shine, alongside a strong visual commitment, which includes the use of bold hero images. Built in WordPress, the site is fully responsive on any device. This reflects our understanding of the prominence of mobile and the need for Entec Si’s site to function well on touch devices. Our association with this project doesn’t end there. We continue to contribute content to the site, and coordinate their social media presence. However, this is all for another case study!